My sleepwear needs a bit of updating. I get attached to nightwear, and often wear it until it is well worn out, and even after I have, in theory, replaced it. This time I took the old M&S t-shirt and cropped trousers to the charity shop before I had finished the replacement. This is a combination of Kwik Sew 2811, which I have made before, here, and Kwik Sew 3553, which was free with Sew Now recently, and I suspect is basically the same pattern. 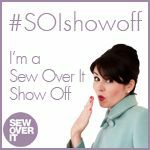 I took the tried and tested short sleeve top from Kwik Sew 2811, and the cropped trousers from 3553. I guess I could have just shortened the trousers in KS2811, especially as I had to shorten them from the cropped version in KS3553. I should have learnt. I made this mistake when I made the shorts set. Most fabric that I buy comes in 150cm width or thereabouts. Polycotton and most cotton comes in 115cm width. It was only when it was washed and hanging out to dry that I looked at it and realised that I had bought the length for 150cm wide, and that it wouldn’t be enough for the PJs. Luckily I had bought it from Barry’s so was able to pop back to the shop reasonable quickly to buy another metre. I made this version almost exactly the same as the shorts version, except that I finished the shoulder edge of the facing this time, as per instructions. The trousers have French and flat felled seams, to strengthen and hide the edges, and I just inserted elastic at the waist – no tie belt to get tangled in bed. I omitted the pocket from the jacket. The biggest lesson learnt from the shorts version was to lower all of the buttons by 3cm. The fit is quite roomy, but that is OK. I graded out half a size at the waist and hips, and probably didn’t really need to, but they allow movement without restriction in bed, and that is what you need. 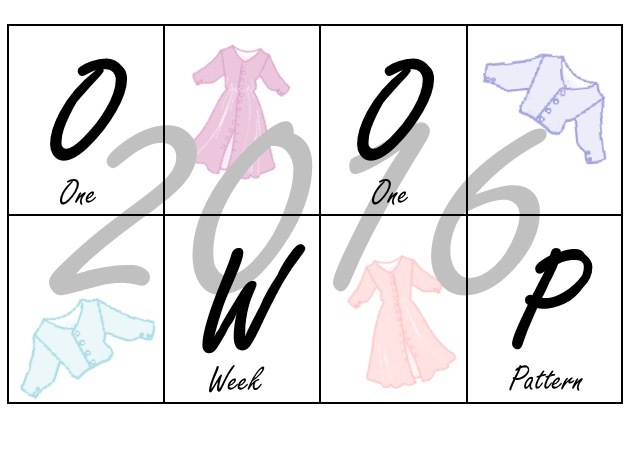 There will be another set… I have looked at taking some more pyjamas into probably their 8th winter, and I really need to get rid of them. I might do a cropped and long sleeved version this time, and I must remember to buy the yardage for the right width of fabric. thanks for the mention Ann, I think I prefer the fabric in blue, but don’t tell my son! 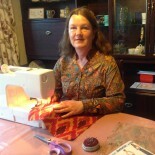 This entry was posted on September 20, 2017 by ann hebden in Fashion, Handmade, Kwik Sew, Nightwear, pyjamas, Sewing and tagged Handmade, Kwik Sew, Nightwear, pyjamas, Sewing.